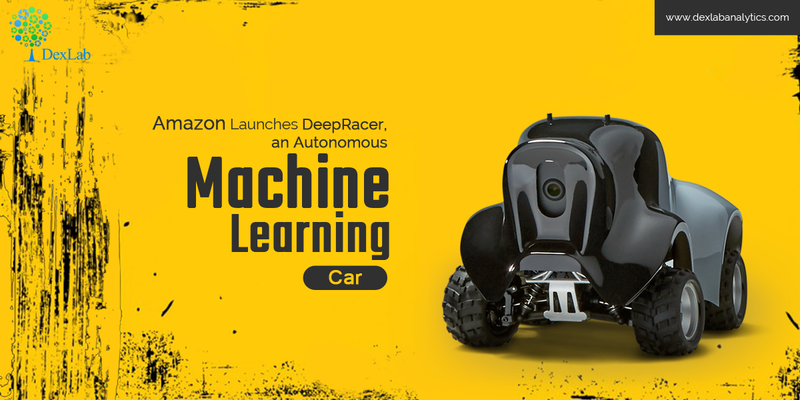 Amazon leverages machine learning technology and develops an entirely remote-controlled autonomous car, DeepRacer. It joins the bandwagon of blockchain, processor chips and advanced data storage in the recently held global event. Amazon is the latest tech bigwig that’s found experimenting with the genre: self-driving cars. However, there is a subtle point of distinction between Amazon and its tailing rivals and that is the former’s car is about the size of a shoebox, while the others are busy trying to replace already existing passenger cars. Last week, Amazon Web Services launched DeepRacer implementing reinforced learning at its annual cloud computing conference in Las Vegas – it’s a one-18th scale model car that developers can drive using ML models and joins the rivalry against newly developed autonomous racing car range. This toy car is completely autonomous and they are selling it for $399. Developers can now experiment and learn more about reinforcement learning – it’s basically a process that uses trial and error method and trains the software to solve complicated and difficult tasks. Even customers can train it well, thanks to AWS’ reinforcement-learning models. In this way, DeepRacer can be used in real world solving difficult tasks in the easiest and cheapest manner. Amazon’s DR is built on a monster truck chassis, contains a battery system, operates using Intel Atom processor and is mobile phone-monitored. The car’s AI module is constructed on AWS SageMaker and its 3D simulation environment is inspired by AWS RoboMaker. It features a deep lens camera, which lets it maneuver through its surroundings – this too explains its weird shape. Talking about deep lens camera, just a year ago, AWS released a cutting-edge image recognition camera, known as DeepLens. It helped a large number of developers to design a wide array of applications using image recognition and aided companies in solving challenges regarding autonomous driving. Soon, the company also marked its footsteps in the domain of self-driving cars and built this autonomous car to simulate driving and tackle issues regarding autonomous driving. Interestingly, AWS is gearing up to introduce the world’s very first autonomous racing league – AWS DeepRacer League – in 2019. It will include 20 races and the winners will have to showcase their autonomous cars during the Championship cup. Currently, DeepRacer is available only in the US but will soon be on sale for developers attending AWS hackathons. Surely, Amazon has big plans to take it global and for that, they are allowing you to pre-order yours on Amazon at a discounted price of $250. The original price appears to be more than $399. DexLab Analytics is offering Deep Learning Training Courses in sync with current industry demands. Their deep learning certification in Gurgaon is fetching good marks – all thanks to an intensive knowledge-oriented curriculum, practical assistance and student-friendly approach.